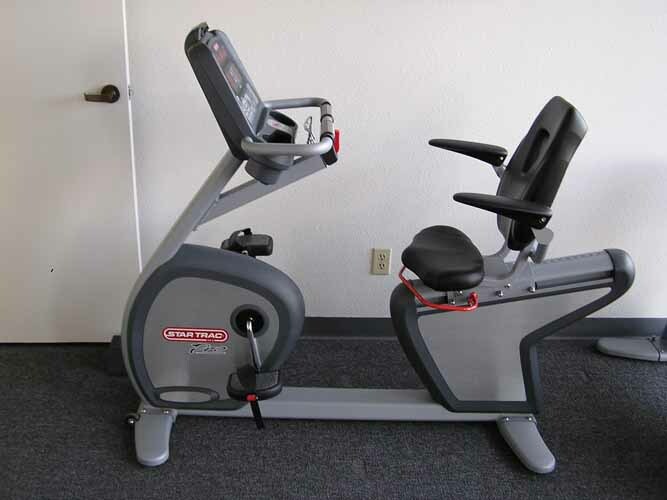 Star Trac’s Pro Recumbent takes stationary biking to a whole new level with approachable, comfort-driven features like our walk-through design, an adjustable reading station, armrests to help alleviate tension in the shoulders, and a wrap-around seat adjust for simple position changes. All aluminum frame will never rust. The Pro Recumbent has heart rate monitoring capabilities using a Polar® chest strap or a grip pulse so you’ll be able to monitor your heart rate every minute of your work out. One piece crank with sealed bearings offer enjoy smooth and quiet workouts every time.